On Friday March 29, 2013, also known as Good Friday, employees across Canada get a day off with regular pay or public holiday pay (depending on the jurisdiction). If the employee is required to work on the holiday, the employee must be paid regular wages and get a substituted day off with pay at a later date (depending on the jurisdiction). For specific requirements for your jurisdiction, consult the Library section of HRinfodesk. Following Good Friday, March 31 is Easter Sunday, which is a Christian and also a retail holiday in some provinces and territories under the authority of the Shops’ Closing Act, the Retail Business Holidays Act and other similar legislation (depending on the province or territory of employment). Easter Sunday is to be observed as a holiday and all shops, other than those defined as exempt shops, are required to be closed on the above holiday. For specifics for your jurisdiction consult the Library section in HRinfodesk. In Quebec, if the employer has not accommodated employees on Good Friday, employees get a day off with regular pay on Easter Monday which is April 1 this year. The employer may choose which day off it prefers (Friday or Monday). If the employee is still required to work on Easter Monday and has not received a day off on Good Friday, the employee must be paid regular wages and get a substituted day off with pay at a later date. Note that some federally regulated companies and other employers in Canada at their discretion recognize Easter Monday as a holiday. Easter Sunday and Monday are not public (statutory) holidays requiring the employer to give a day off with public holiday pay. However, some employers may provide these days as public holidays or allow employees to use them as floater days. In addition, Good Friday is a movable religious holiday falling on Friday before Easter Sunday. Good Friday commemorates the crucifixion of Jesus, who Christian believe to be their Messiah and the son of the Most High. According to the Gospels, Jesus was put to death on the Friday before Easter Day to save mankind. Easter Sunday celebrates the bodily resurrection of Jesus Christ after his crucifixion on Good Friday. For almost two millennia, the Christian Church believes that Jesus was crucified, died, and was bodily resurrected (i.e. returned to life in his original body) three days later. This has long been one of the church’s foundational beliefs. Many Christians attend morning or evening church services and may ask some time off but not the whole day off. Early Christians celebrated the days immediately following Easter – the most important holy day in the Christian church -by telling jokes, playing pranks, and feasting on lamb. On Easter Monday morning, men would wake their wives with a spritz of the perfumed Easter water as they whispered, “May you never wither.” On Easter Tuesday, women would return the favor as they awakened their husbands with a bucketful of the scented water! This is not a religious holiday that requires accommodation. But Christians are not the only ones that are celebrating. March 26, 2013, is Passover (Pesach), which is a Jewish holiday. This is an eight-day holiday that commemorates the deliverance of the Jews from slavery in Egypt. The house is cleaned of all leaven, and throughout Passover Jews eat matza (unleavened bread), and are forbidden to handle, own, eat or derive benefit from any “leavened” product—anything that has yeast or could “rise” like bread. The highlight of Passover is the Seder meal on the first two nights, where extended families gather for a festive meal and the biblical story of the Exodus from Egypt is retold. The holiday begins at sundown on March 25, and the first two days (March 26-27) and last two days (April 2–3) are holy days. During these days (starting from the previous sundown), observant Jews are prohibited from doing “melacha”, which translates roughly as “creative accomplishment”, and includes turning lights on or off, driving, writing, using the telephone, handling money, or using a computer. The days are spent in synagogue prayer and family meals. Employers must accommodate Jewish employees by giving them time to leave work early to prepare for the holiday, and to take the holy days off. In the intermediate days work is permitted. It is also important to note that Orthodox Christians celebrate Good Friday and Easter at different dates. 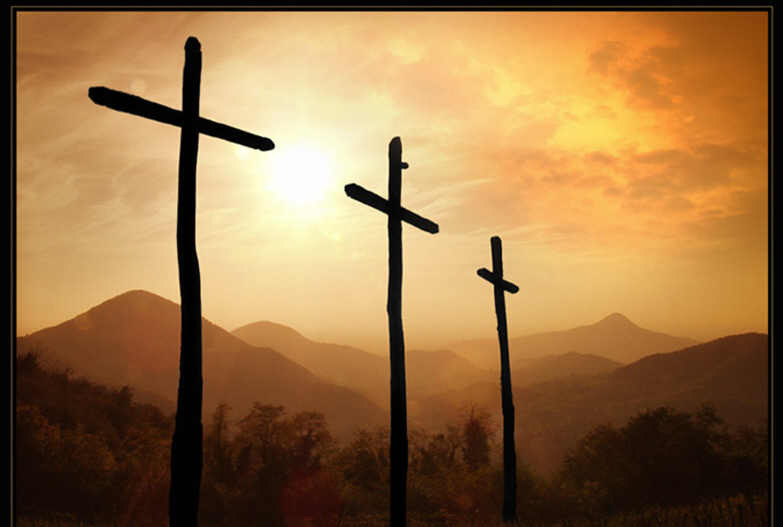 For Orthodox Christians Holy Friday falls on May 3, 2013 and their Easter falls on May 5, 2013. The Orthodox Church which established and preserves the original Christian Calendar (based on the Julian calendar) setting the dates for the celebration of the significant events in Christ’s life in Chronological order. That is why it is different from the Roman Catholic calendar for Good Friday which is based on the Gregorian calendar. Holy Friday is observed as a strict fast. Orthodox Christians are expected to abstain from all food and drink the entire day to the extent that their health permits. On this Holy day neither a meal is offered nor do they eat on this day of the crucifixion. If someone is unable or has become very old [or is] unable to fast, he or she may be given bread and water after sunset. In this way they come to the holy commandment of the Holy Apostles not to eat on Great Friday. The faithful revisit the events of the day through public reading of the Psalms and Gospels, and singing hymns about Christ’s death. This day may require accommodation to attend services. Orthodox Easter, also called Pascha, is the most important religious feast in the Orthodox Christian liturgical year. Orthodox Christians celebrate this day in observance of their belief that Jesus rose from the dead on the third day after his crucifixion. The Paschal Service consists of Paschal Matins, Hours, and Liturgy, which traditionally begins at midnight of Pascha morning. Immediately after the Liturgy it is customary for the congregation to share a meal. Traditionally, Easter eggs, hard-boiled eggs dyed bright red to symbolize the spilt Blood of Christ and the promise of eternal life, are cracked together to celebrate the opening of the Tomb of Christ. May you have the opportunity to reflect on Good Friday and time spent with family, and a very happy Easter or Passover! Most-viewed articles this week on HRinfodesk The value of working from home questioned: Whether to implement flexible work arrangements or not?